Samsung is busy showing off its three Galaxy S4 variants and incredibly ugly glasses onstage in London, but one of the biggest announcements of the day was almost glossed over in the introduction of the premiere event: the much-rumored Galaxy NX. This Android-powered version of Samsung's dSLR and Micro 4/3 camera competitor is aiming to bring Android integration to the higher end of the consumer camera market. While Samsung is still talking it up at the event, at least one random YouTube user has managed to do a full video review of the device. 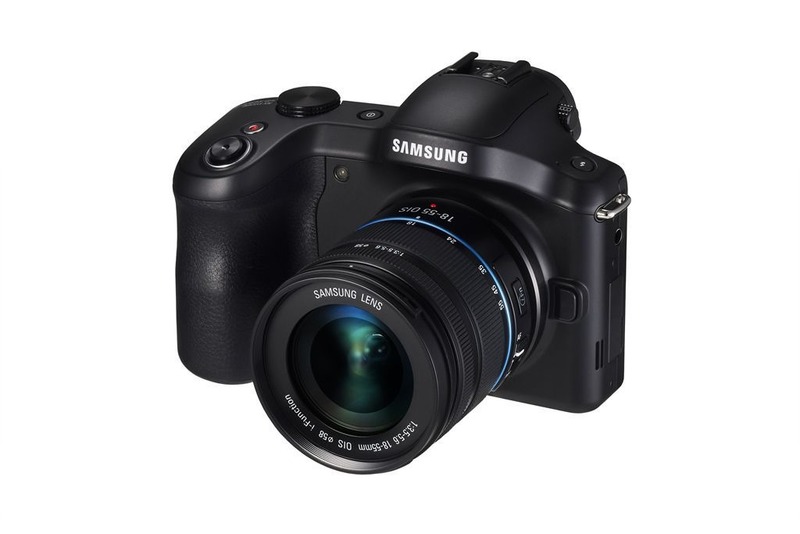 Samsung has a thing with cameras lately, it seems, and putting Android on them. Or attaching a phone to them. Eventually, I expect we will see the Samsung Galaxy Note 10.1 Camera, the world's first stylus tablet with a full-frame DSLR attached to the back. 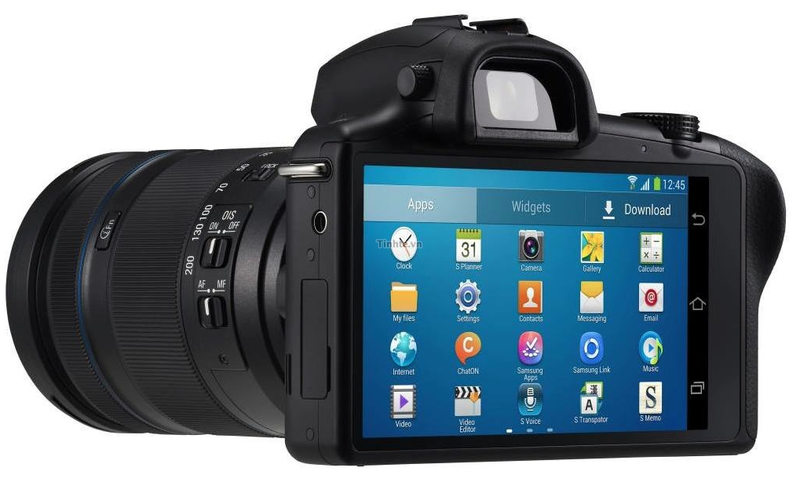 Until then, though, we may have to settle for the Galaxy NX - the spiritual successor to Samsung's not-exactly-lauded Galaxy Camera. Behold its [alleged] massiveness. We wondered what Samsung would have up its sleeve for that shadowy Premiere event, set for June 20th in London. Or more precisely, we wondered what it had left - the company has unveiled no less than three variants of the Galaxy S4 (at least by name) and two new tablets since the event was announced. According to the Korea Times, at least one new product will be the Galaxy Camera 2, successor to last year's eponymous category-bending smart camera. Samsung's Galaxy Camera is an undeniably unique device... and long-time gadget hounds will know that "unique" is often synonymous with "expensive." $500 is a lot for a point-and-shoot camera, even one that runs Android 4.1, but once again eBay's Daily Deals is offering it at a significant discount. 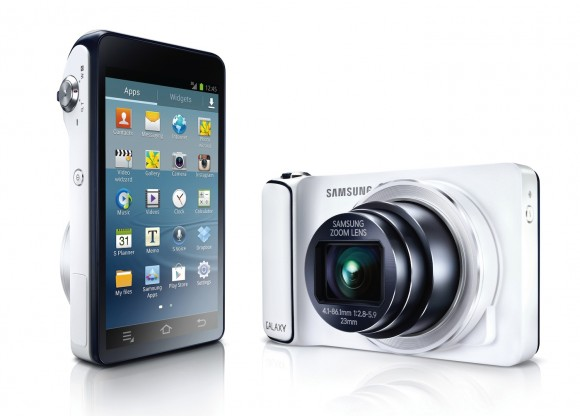 Seller never-msrp has the white EK-GC100 model Galaxy Camera (AT&T/international 3G) for $369.95, without a contract. That's a savings of $130.05, a bit more than 25% off AT&T's retail price (not to mention a cool $100 off the last Galaxy Camera deal). 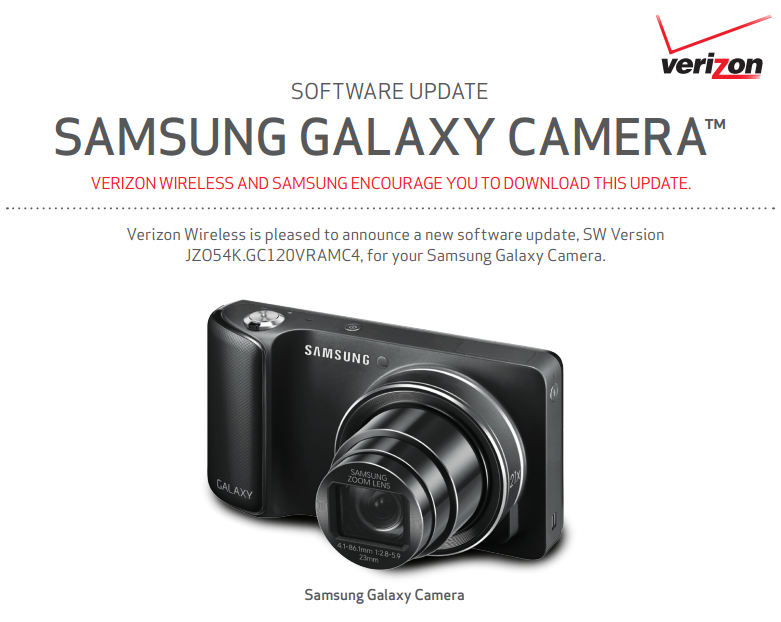 If you happened to be one of the less than 13 people who shelled out $550 to get Verizon's variant of the Galaxy Camera, then a nice update is heading your way. It appears to bring some pretty useful new features, like S Memo, a new Help App, four new Smart Modes, and a nifty remote view finder. So far as the new Smart Modes are concerned, the update brings scenes for dawn, indoor parties, snow, and food to the device, for a total of 19. We first heard about a carrier-free, WiFi-only Galaxy Camera back in February. At the time we had no information on when it would come to market or how much it would cost, but today that's no longer the case! Samsung has officially announced that the smartphone-ified point-and-shoot will land on the company's website and authorized retailers "later this month" for $449. When Liam reviewed the Galaxy Camera for AT&T, he said the jury was still out on whether this device fills a need. Not everyone's sold on Samsung's Android-powered camera experiment, but for those who are, you can grab one for a cool $30 off. 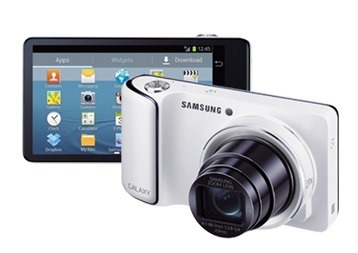 The international 3G version of the Galaxy Camera is the latest gadget to get its time in the spotlight of eBay's Daily Deals promotion , going for $469.99, $30 off the price you'll pay in most stores and even more off of the Amazon price. Unlike most of the discounted 3G devices out there, this one doesn't require a contract (since the Galaxy Camera is sold without one anyway) but you'll need your own active SIM card to take advantage of that mobile connection. If you really want Samsung's Galaxy Camera (our review), but aren't into the idea of being tied down to a carrier so you can take pictures, it's your lucky day. 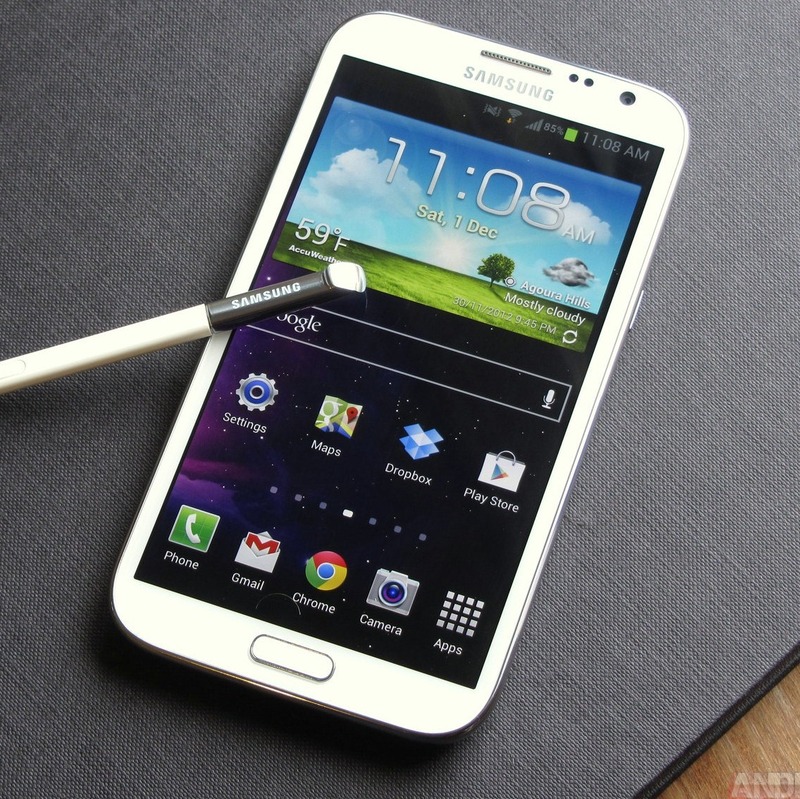 The company just announced the Galaxy Camera Wi-Fi, which quite frankly makes a whole lot more sense, anyway. Unfortunately, there's no word on pricing or availability, despite the fact that the PR states that the device is being "launched today." If you're one of the few who dropped the coin and got a Samsung Galaxy Camera, good news: the Galaxy Camera toolkit is available now over at XDA. This comes from developer mskip, who is also responsible for the Galaxy Nexus, Nexus 7, Nexus 4, and Nexus 10 toolkits, so you can rest assured that it is about as stable and secure as they come. 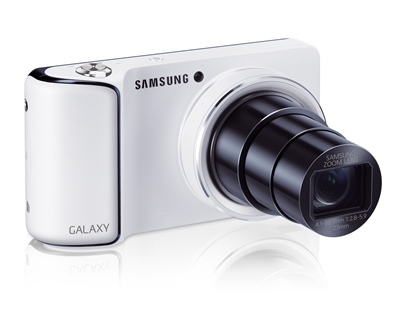 The Galaxy Camera Toolkit is for Windows PCs only.